A couple of weeks ago I received a call from a gentleman who was doing research on an early Schaumburg Township pioneer by the name of Horace P. Williams. He is a great, great, great grand nephew and wondered how much information we had on his relative. Knowing a fair amount about some of our German settlers, it was time to look into a gentleman who was clearly not of that lineage. It turns out we had a number of sources in our Local History Digital Archive and a nice entry in the 1884 History of Cook County written about Mrs. Lavina T. Williams, the wife of Horace. Mr. Williams was one of a group of New Englanders in the 1830s who was looking for cheap land. He found it in Schaumburg Township and, from 1844 to 1846, proceeded to purchase 720 acres. The land was in Sections 10, 11 and 14. 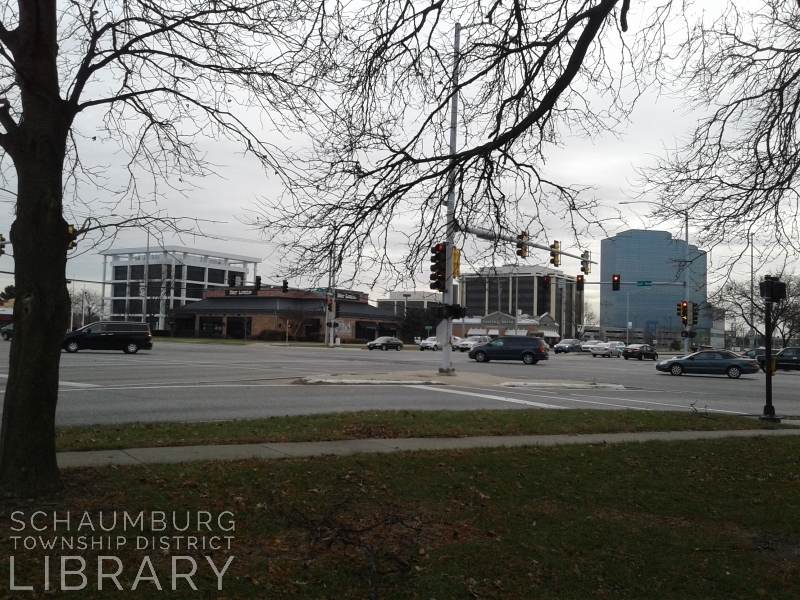 Think of standing in the north entrance of JC Penney at Woodfield Mall, looking north and west, and you’re getting a glimpse at the Horace P. Williams acreage. Horace was born on April 16, 1813 in Canaan, New Hampshire. The story goes that Mr. Williams, as a young man of 24 or 25, first came to the Lake County, IL area in 1838 and stayed there for two years. He returned east at the end of that time (circa 1840) and, on the way back to Illinois, stopped in Ohio and purchased a flock of sheep that he proceeded to drive to Schaumburg Township. This was the first flock of sheep in the township. The story is confirmed in a 1903 obit, the Andreas history of Cook County and numerous other places. 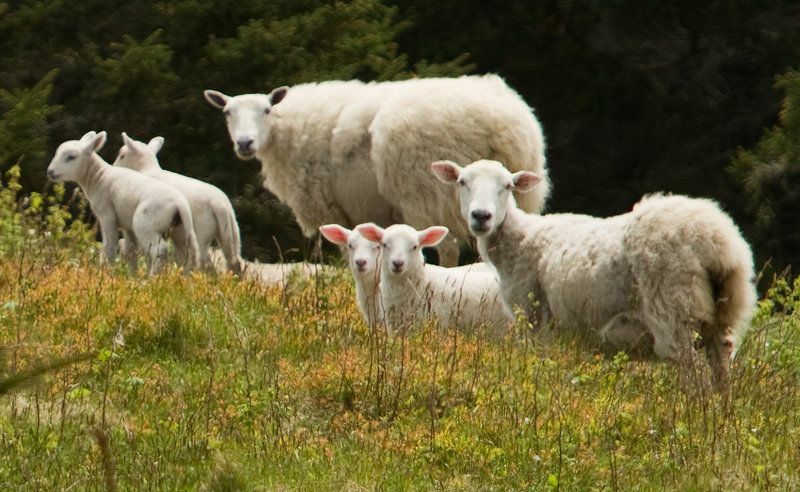 Horace went back to the northeast, once again, in 1843–one has to wonder who was taking care of the sheep–where he promptly married Lavina T. Thomas of Montgomery, VT in June. She had been born in Franklin County, Vermont in 1816, the daughter of Jonah and Sallie Thomas. After their marriage Horace and Lavina immediately journeyed back to our township and set about improving and purchasing the large parcels of property in Sections 11, 12 and 14 as mentioned above. He and Lavina later had four children: Flora, Owen, Ida and Eva. According to a 1903 obit of Lavina’s, he finished his life on his prosperous farm. The agricultural census of 1860 sheds some light on his valuable farming operation. He was the largest landowner of the township, with a total cash value of $23,200. (The regular federal census of 1860 lists his total value as $34,000.) He owned a team of oxen, eight horses and 564 sheep. The wool production must have been substantial but the figure is not given. It is stated though, that the farm produced 50 gallons of molasses, 20 bushels of grass seed, 1500 bushels of corn, 125 tons of hay and average yields of oats, wheat and potatoes. The farm was so busy that it was necessary for him to employ William and Louis Thies from Prussia as farmhands and Ann Beamish from Ireland as housekeeping help. Another document filed with the Schaumburg Township Commissioners of Highways on November 23, 1867, by a neighbor, Heinrich Mensching, sought governmental permission to lay a drain across the property of Williams’ and his neighbors, the Kublanks, in Section 11. While Mr. Williams and the Kublanks rejected the idea, the three Commissioners on December 9 gave their permission as well as the specifications of the size of the drain and the amount that would be laid on each parcel. It doesn’t appear he had a lot of luck with the local governmental hierarchy. Horace eventually spun off some of his property to his daughter, Ida Yates. On August 4, 1881, while visiting his daughter, Flora Biggs in Kansas, Mr. Williams passed away at the age of 68. 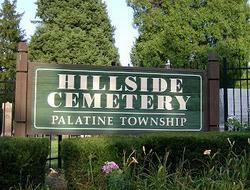 His body was brought back to the area and he was buried near his daughter Eva in Hillside Cemetery in Palatine, IL. He left an estate of $60,000 and a homestead of 720 acres. 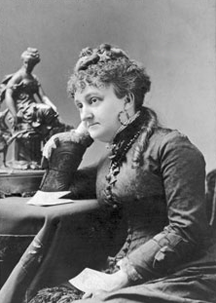 Lavina later moved to Palatine where she died on February 6, 1903. She is also buried in Hillside Cemetery. After the death of Horace, the farm was operated by his daughter Ida and her husband, Charles Yates. Charles inherited the farm when Ida died in 1895. Yates hung onto it until 1905 when he sold it to Charles Quindel, which is reported in Genesis of a Township. This ended the 64-year tale of Horace Williams—one of Schaumburg Township’s earliest pioneers. 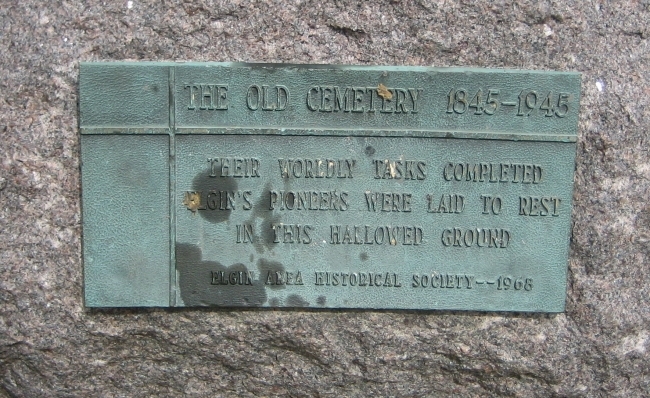 It is interesting to note that all four of their children–even Flora who had moved to Kansas–are all buried in the Williams plot in Hillside Cemetery. Their affiliation to the area obviously ran deep. Material for this posting was extracted from the obituary of Lavina Williams, entries written by Wendy M. for Horace P. and Lavina Williams on findagrave.com, the Palatine Mailing List on rootsweb.com, History of Cook County by Andreas (1884) and documents on the Schaumburg Township District Library’s Local History Digital Archive.